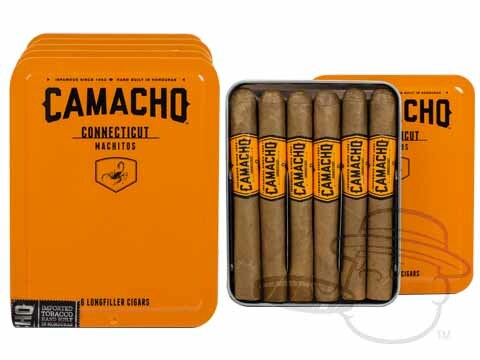 With a long roster of top-notch blends, the guys at Camacho cigars are just a bit ahead of the competition when it comes to bold and complex smokes. 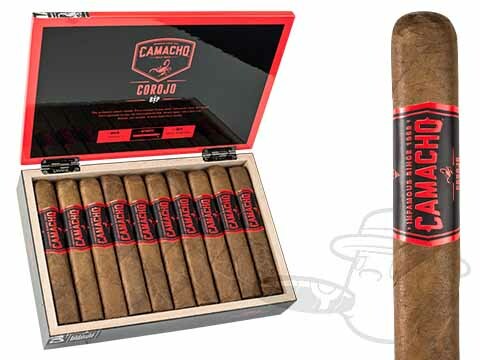 From the top-selling Camacho Corojo, to the smooth and savory Camacho Connecticut, right on to the supremely rich taste of the Camacho Triple Maduro, Camacho cigars capture the spirit of old Havana with deep flavor and an earthy finish. 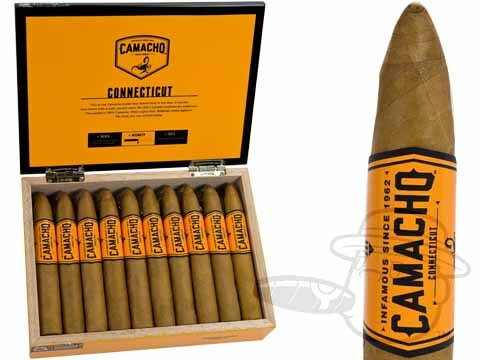 No matter which way you go, with Camacho cigars you can count on a superior smoke, every time. 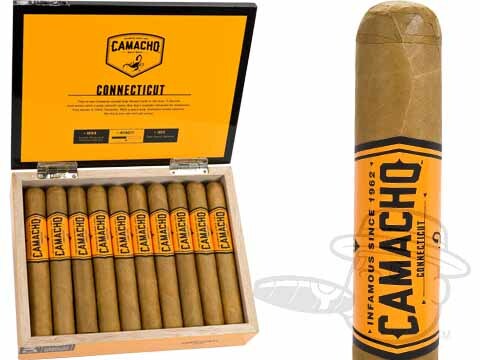 First introduced in 1961, Camacho cigars were created by Cuban expatriate Simon Camacho in Miami, Florida. 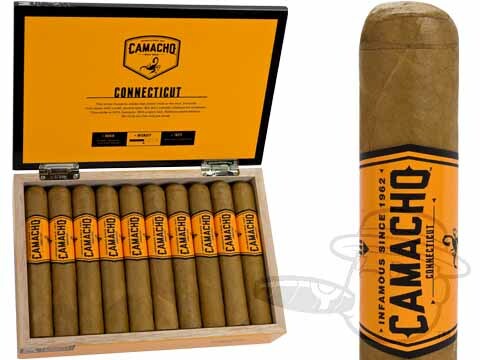 Camacho cigars quickly earned a reputation for quality around the globe and were enjoyed by some of the most well-known cigar aficionados including Sir Winston Churchill. 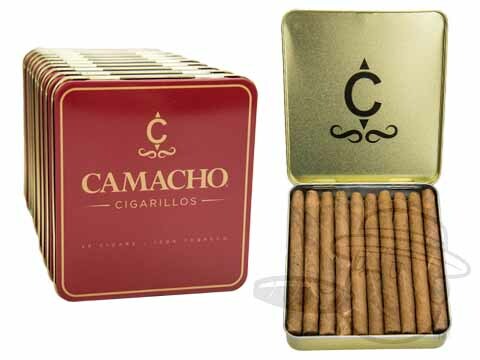 Camacho Corojo cigars are handmade using 100% genuine vintage Cuban seed Corojo tobaccos. 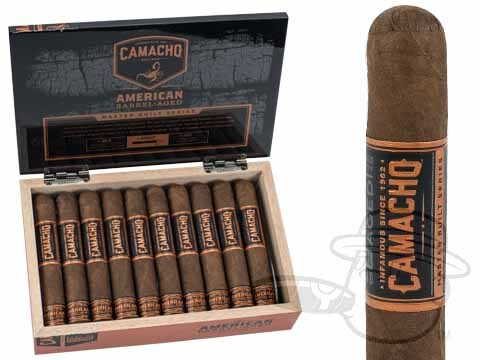 Let that sink in for a minute. 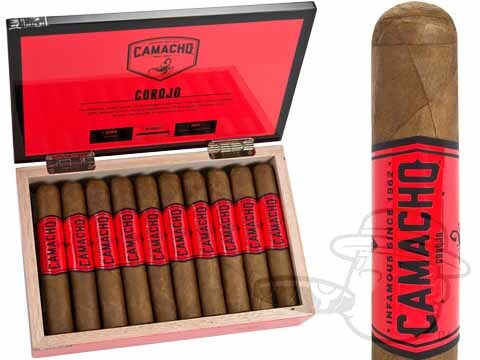 Featuring an authentic Corojo Ligero binder, Corojo fifth priming wrapper, and potent Corojo filler tobaccos, this “ultimate corojo” cigar is a consistent best-seller and permanent fixture in many humidors. 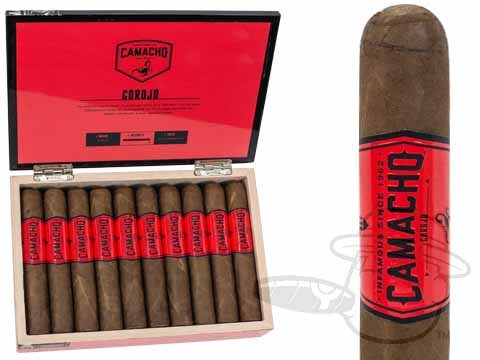 Extensive aging lends the Camacho Corojo its robust yet smooth character and lip-smacking flavor notes of sweet cedar, walnut, and peppery zest. 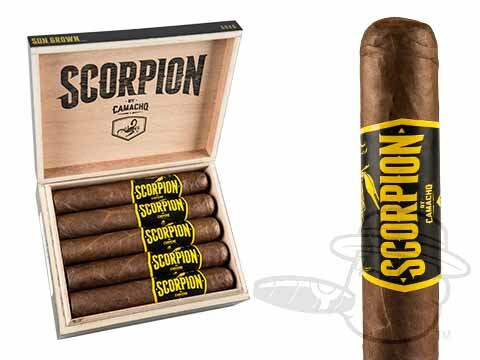 Yum, yum, get you some. 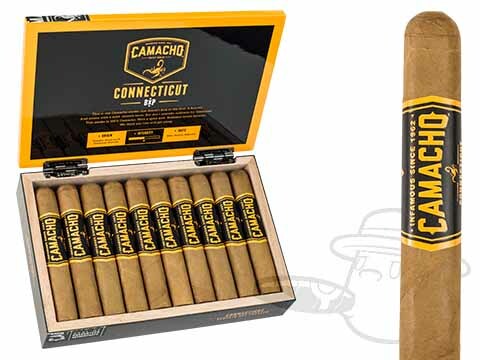 Pushing “silky” to its limits, Camacho Connecticut cigars are blended using Honduran and Dominican longfillers, Honduran binders, and silky Ecuadorian Connecticut wrappers to balance fine flavor with smooth finesse. 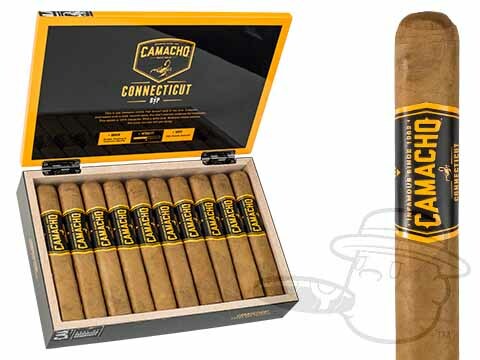 Mellow in character with a nice little spicy kick, the Camacho Connecticut cigar checks all the boxes to qualify as an awesome everyday smoke. 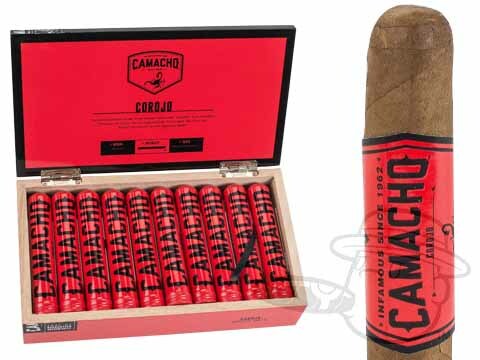 Medium in body, the Camacho Criollo cigar is the vessel in which cocoa, earth, and leather collide with delicious results. 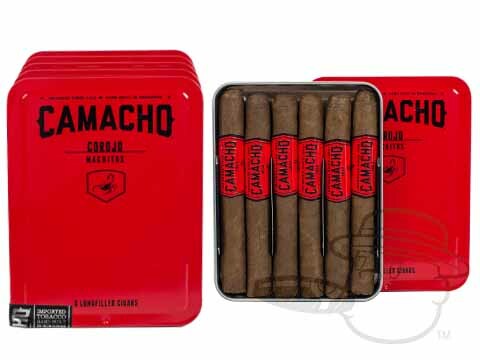 Emitting spicy-sweet character courtesy of an authentic Corojo binder, Criollo '98 wrapper, and both Criollo and Piloto Cubano filler leaves, the extra-extra-tasty Criollo is the Camacho cigar for the smoker who chooses to spend his days completely drenched in rich flavor. 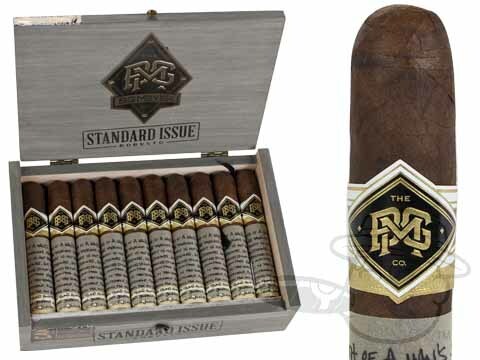 An all-maduro cigar? 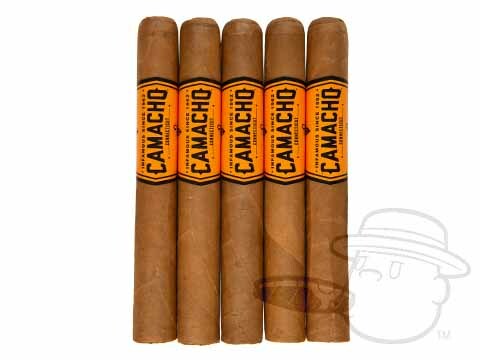 That’s impossible, right? 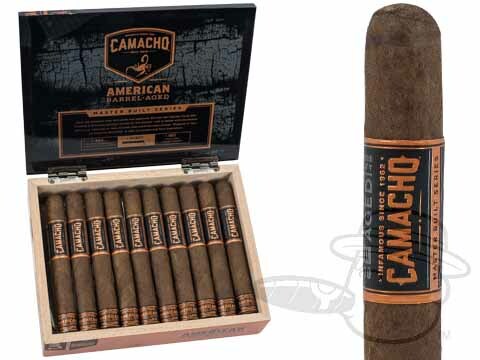 Not for the brilliant blendsmiths at Camacho, as evidenced by the The Camacho Triple Maduro. 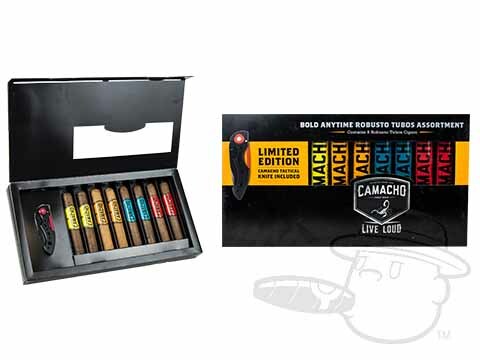 Camacho Triple Maduro cigars serve up lush, sweet, and rich maduro vibes via an authentic Corojo maduro binder, a San Andres Maduro Mexican wrapper, and carefully selected, extensively fermented filler tobaccos. 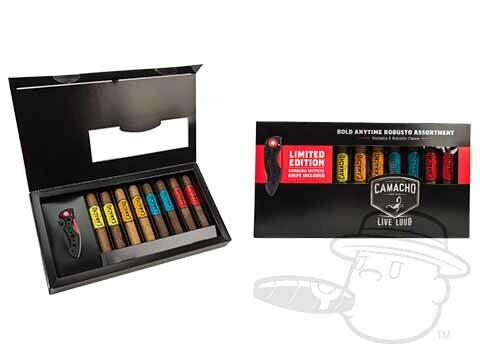 These phenomenal palate-painters will win over even the darkest of hearts with a full-bodied flavor party of epic proportions. 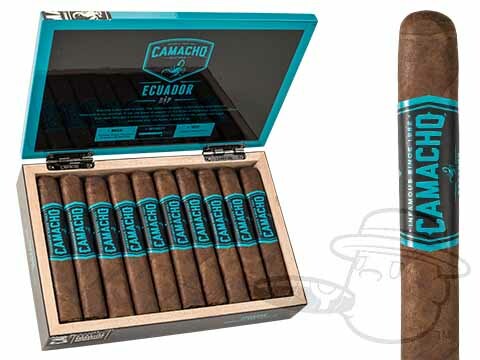 The 91-rated Camacho Ecuador is your answer, if your question is “what is the most complex Camacho cigar?” An Ecuadorian Habano wrapper plays the David Bowie role in the Camacho Ecuador’s lip-smacking labyrinth of nuanced flavor notes, supported by a hearty horde of Brazilian, Honduran, and Dominican inner leaves. 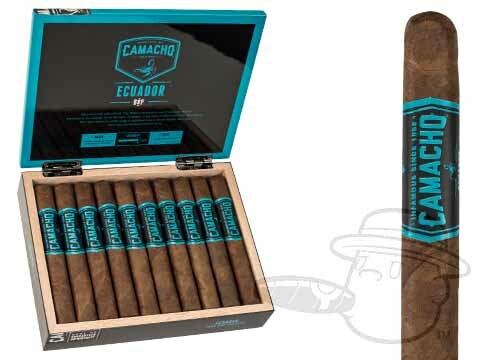 One could easily get lost in the Camacho Ecuador’s endlessly interesting tasting tones of coffee, chocolate, sweet graham, citrus and more. 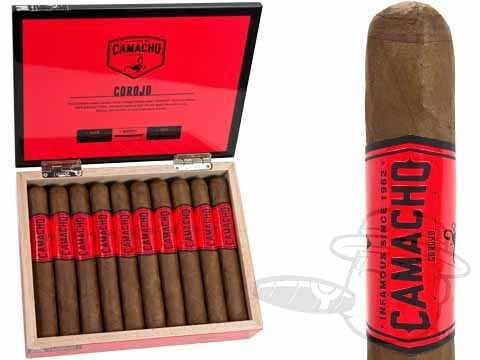 The only problem is you might not want to come back, and that’s a great problem to have. 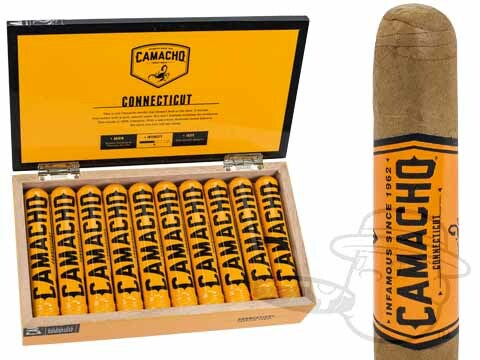 I’ll get into the “Camacho-Corojo-on-steroids” blend recipe of the Camacho Original Diploma 1962 in a second, but I’d be remiss if I didn’t mention it’s awesome packaging. 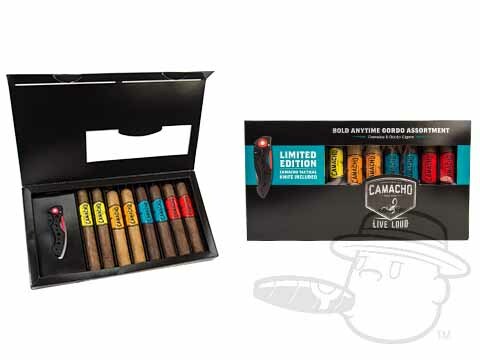 These stunning full-bodied smokes come packed in a triangular box comprised of 18 individual coffin boxes with a unique, upscale look that is perfectly fitting for the limited edition cigars inside. 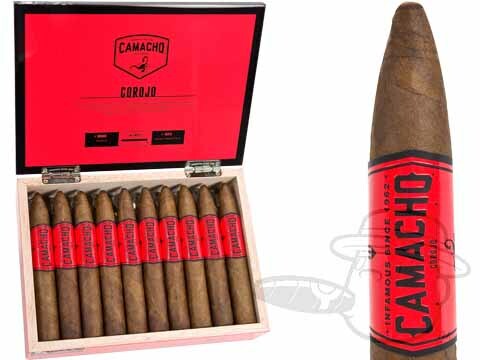 As for the Camacho Original Diploma 1962 Special Selection cigar itself, it’s made from 100% Honduran high priming real-deal Corojo tobaccos. 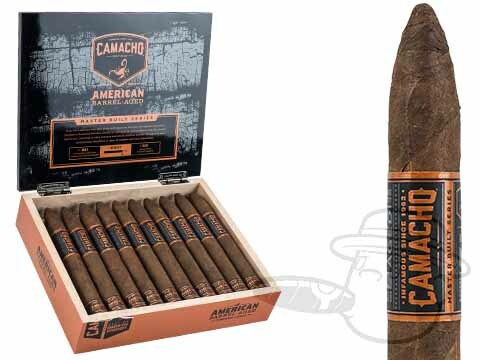 The kind that hit you with powerful tasting notes of dark coffee, sweet cocoa, smoky leather, and fresh ground pepper in every puff. 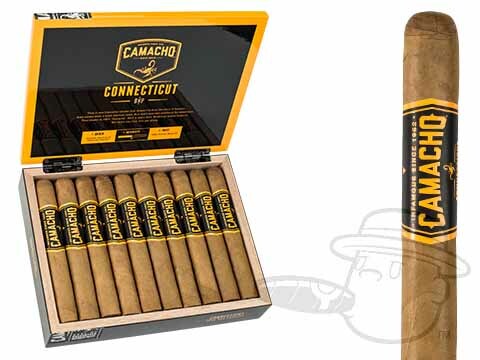 So, yeah, these are kind of a big deal. 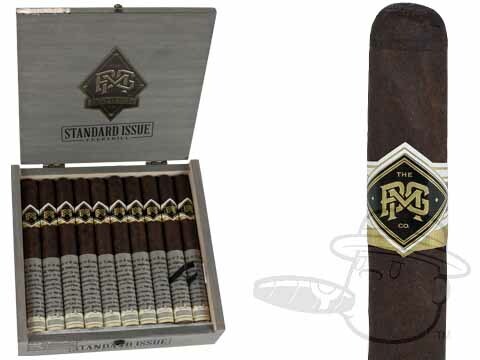 They’re also limited to only 1,800 boxes produced, so if this sounds like your kind of thing you might wanna grab your box posthaste. 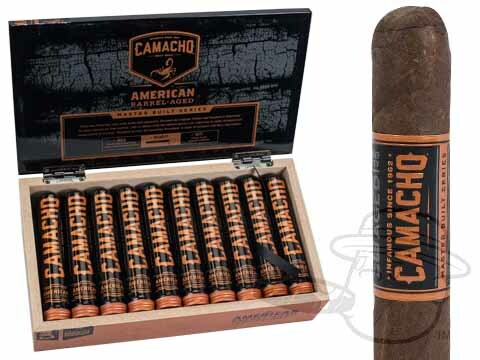 Camacho’s American Barrel Aged cigar is handmade in the Dominican Republic, but the blend is pretty much as American as it gets. 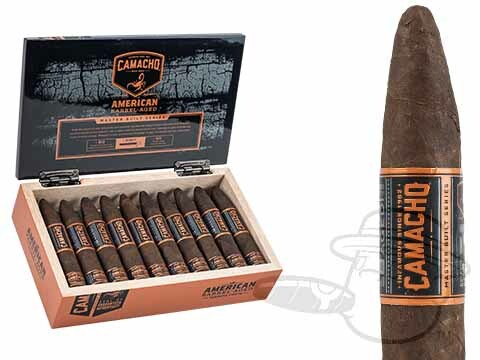 An American Broadleaf wrapper is stuffed with more ‘merican Broadleaf and mouthwatering Pennsylvania maduro tobaccos, along with a generous pinch of spicy, vintage bourbon barrel-aged corojo, and the taste is enough to make you sing the Star Spangled Banner. 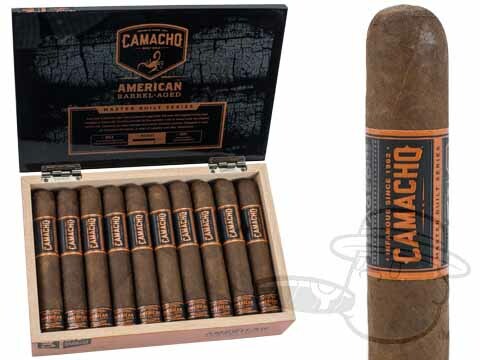 Intense flavors of smoky oak and sweet bourbon aromas abound once the Camacho ABA is lit, and they don’t stop comin’ until you’re holding a smoldering nub. 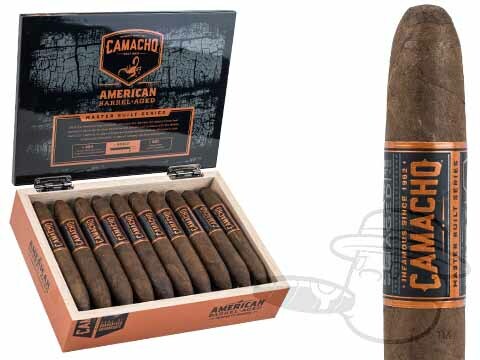 God bless it. 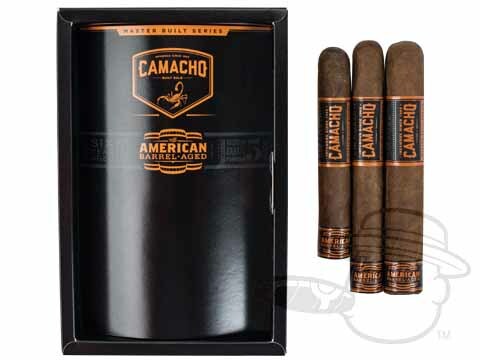 Another blend from a different barrel, the Camacho Nicaraguan Barrel Aged wraps an elegant Ecuadorian Habano 2000 leaf around a sturdy Mexican binder and a mix of smooth Dominican and spicy, rum barrel-aged Nicaraguan filler leaves. 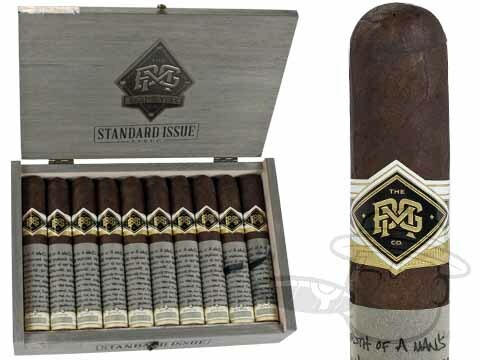 This balanced bouquet of fine tobaccos produces a rich and rounded profile with deep tones of smoky oak, toasted bread, and Cuban coffee, along with pleasant hints of caramel sweetness. 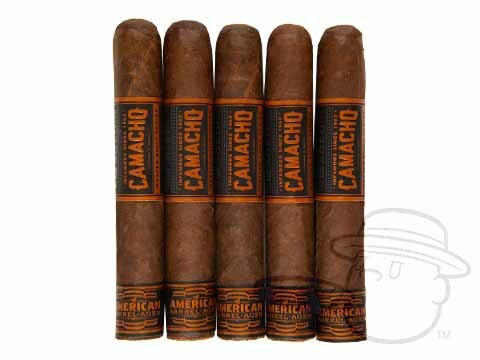 Straight-burning, savory, and smooth in nuanced flavor, the Camacho Nicaraguan Barrel Aged satisfies in spades. 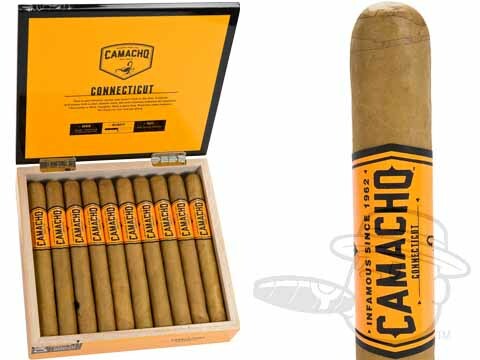 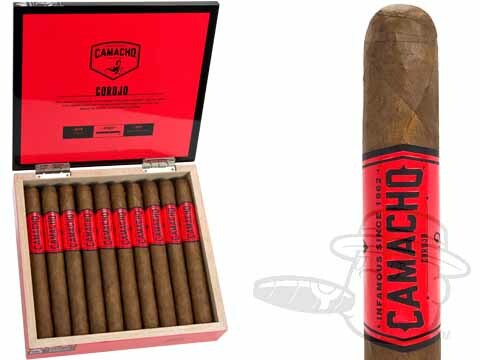 Best Cigar Prices has your favorite Camacho cigars at the lowest price on the web, in stock now and ready to ship. 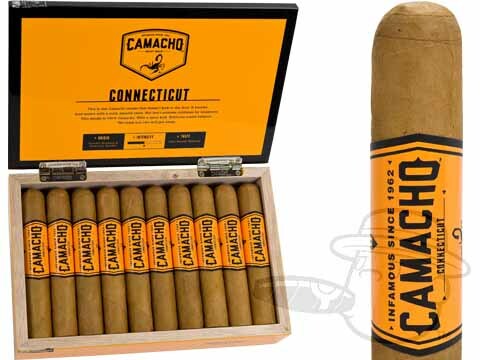 If you can’t find the Camacho cigar you’re looking for, please open a Live Chat at the top of the page and we’ll be happy to help!